Following the publication of the report on Friday 16th December 2016, Neil Marshall the CEO of the National Insulation Association (NIA) responded: "The NIA has contributed a significant amount to the review and we were pleased to see that the input we have provided and the work that the NIA and its members is already carrying out to further improve quality and standards has been recognised in the report. We fully support the review and will be meeting with Peter Bonfield and his team early in the new year to discuss the recommendations and how the NIA and its members can contribute to the implementation of these." Marshall added: "As the leading trade association for insulation in the UK the NIA and its members is committed to quality and customer service. Our members meet robust criteria and sign up to a strict code of professional practice, providing householders and specifiers with added reassurance and peace of mind. "In anticipation of the recommendations of the Review we began work in developing enhanced industry standards and specifications some months ago for insulation measures including Cavity Wall Insulation, External Wall Insulation, Loft Insulation and Room in Roof Insulation which we will be rolling out in 2017." The National Insulation Association’s (NIA) Annual Conference, Gala Dinner and Exhibition will take place on Tuesday 6th December 2016 at the Jurys Inn Hinckley Island Hotel, Leicestershire. This year’s headline sponsor is one of the UK’s leading designers, manufacturers and suppliers of external wall insulation and exterior render systems, PermaRock Products Ltd. The NIA’s Annual Conference is firmly established in the calendar as a key event for the insulation industry. It promises to be an informative and enjoyable day and evening for everyone again this year, and offers excellent opportunities for participating sponsors. Derek Horrocks, Owner of PermaRock said: "2016 has been an exceptionally turbulent year and with so much happening in the energy efficiency sector, it's essential that the insulation industry has a platform for making its voice heard. The NIA membership has enormous experience and very important things to say about key issues such as fuel poverty, funding mechanisms and practical technical solutions. These are all subjects that demand urgent consideration, so I'm proud to be supporting a conference that gives us an opportunity to raise them for open and constructive discussion." There are a few remaining sponsorship opportunities available. Interested companies should please contact: Neil Marshall by email Neil.Marshall@nia-uk.org without delay. The National Insulation Association is the leading trade association for insulation measures and companies in the UK and our members include the manufacturers, system designers and installers of cavity wall, external wall, internal wall, loft, roof and floor insulation and draught proofing. Our members are required to meet our robust membership criteria and work to all appropriate industry standards and abide by our strict code of professional practice. This means that by choosing an NIA member to carry out the work there is added reassurance and recourse compared to using non NIA members. As a result an increasing number of specifiers and advice agencies including energy companies, Government Schemes, Local Authorities, Housing Associations and the Energy Saving Trust are choosing and recommending the use of our members. There are some very significant developments currently taking place in the insulation industry which will impact on quality and standards of workmanship and customer redress which we wanted to bring to your attention. The independent review of quality and standards in the energy efficiency industry being carried out by Peter Bonfield is due to report shortly however, there is already work being carried out linked to it which will impact on industry standards. PAS2030 which governs the standards that insulation installers must operate to is currently being revised and a new specification will be published in early 2017. This will include robust standards and requirements for installers including the assessment of properties to receive insulation measures, the system design, physical installation and handover to the property owner. We are directly involved in this work and we are developing new industry standards for external wall insulation, cavity wall insulation, room in roof insulation and loft insulation which will be referenced in PAS2030. We will require all our members to adhere to these new standards and if any of them fail to do so we have the powers to take appropriate disciplinary action. Our new standards include industry leading specifications and best practice guides which will provide greater reassurance and recourse to specifiers and householders in the use of NIA members. We have introduced a new FREE service to help specifiers find NIA members to work on their projects. On Wednesday 5th October 2016 the National Insulation Association held a special members briefing event at the Building Research Establishment in Watford attended by 90 of its members. The event covered Quality, Standards and Consumer Redress, Government Energy Efficiency Policy and Programmes and the ECO Extension. It included presentations by Peter Bonfield, Chair of Each Home Counts Review, the British Board of Agrement, Department for Business Energy and Industrial Strategy and Ofgem. During his talk Peter Bonfield commended the NIA and its members on their leadership in the work they are doing in the development of new industry wide specifications and schemes to provide additional quality assurance in support of the Each Home Counts Review and revisions to PAS2030. These developments cover cavity wall insulation, external wall insulation, loft insulation and room in roof insulation. The BBA gave an insight into a how Brexit could affect the industry and its work in helping to instil confidence in consumers, the Department for Business Energy and Industrial Strategy provided an update on the current political landscape, its policy developments to stimulate the uptake of insulation and address fuel poverty. They acknowledged that more work was needed to address the solid wall insulation market which is still relatively untouched and yet there are over 7 million properties still in need of SWI. Ofgem completed the line up with details of the new deemed scores and rules for the ECO Extension from April 2017. In the afternoon the NIAs CEO Neil Marshall provided a comprehensive update on the activities that NIA is undertaking to support its members and how the NIA provides its members with a strong collective voice. Commenting on the day Neil Marshall said: "One of the key benefits of being a member of the NIA is receiving important information and advice to aid members business planning and gain competitive advantage vs non-member companies. This event enables our members to receive the latest news affecting the insulation industry and also provided an excellent networking opportunity. We are planning more of these types of events during 2017 in order to keep our members fully updated." The National Insulation Association is the leading trade body for insulation in the UK and we are holding our Annual Conference and Gala Dinner on 6th December 2016. 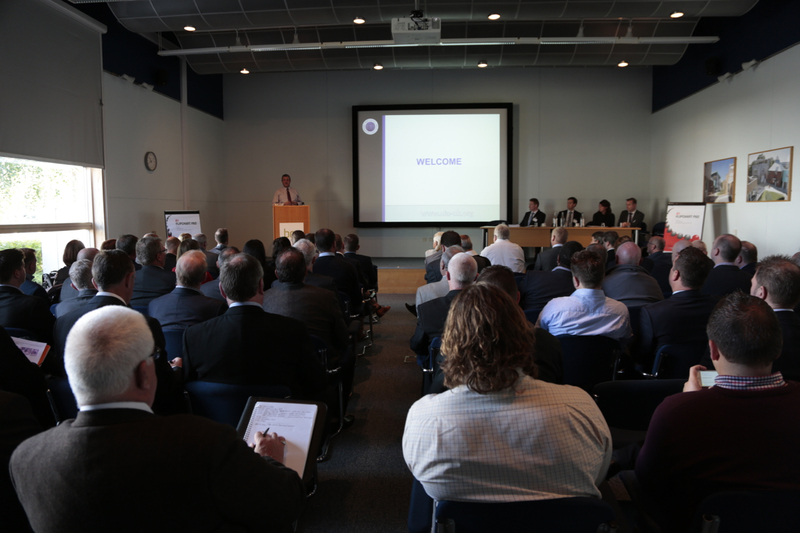 The event is attended by around 250 delegates including insulation manufacturers and installers, Local Authorities, Housing Associations, Energy Companies, Procurement Framework Operators and Government officials. The event includes an exhibition area with around 20 exhibitors which takes place in the room where all refreshments are served (so exhibitors have a captive audience) and provides an excellent opportunity for companies to showcase their products and services. We have a limited number of stands still available - the cost of a stand is just £1,500 + VAT and bookings will be taken on a first come first served basis. In addition, all exhibitors will receive a free delegate place for the Conference and Gala Dinner worth £150 and exhibitors will be featured in our trade press releases and social media promoting the conference. Leading energy efficiency and fuel poverty organisations have identified that the Governments estimated costs of the Energy Company Obligation Extension could be significantly overstated meaning thousands of fuel poor households will miss out on much needed support. The Department for Business, Energy and Industrial Strategy (BEIS) has recently conducted a consultation on the £640m, one year extension of the Energy Company Obligation from April 2017 to the end of March 2018. The consultation included an impact assessment which sets out the assumed costs of delivering the programme and the target for the programme including the number of energy efficiency measures to be provided to householders based on these assumed costs. The NIA working in conjunction with a number of other leading energy efficiency and fuel poverty organisations has identified that the costs in the impact assessment could be significantly overestimated possibly by more than £200m. This is of great concern given that 70% of the funding support will be directed at helping fuel poor households and if this is not corrected will result in fuel poor households receiving allot less support than they could otherwise. Neil Marshall CEO of NIA commented: “We are extremely concerned that the costs of delivery have been overstated and we along with other organisations have provided information and evidence to the Department for BEIS as to where we believe the overestimate of costs has arisen. We will be working with Government officials and others including fuel poverty organisations over the coming months before final decisions are made in reviewing these costs. If our calculations are verified and accepted, Government will have the opportunity to revise the costs and set a target around 35% higher than the current proposal meaning thousands more fuel poor households could benefit." Representing member’s views to Government and other key external stakeholders and lobbying on their behalf to obtain the best outcome for the industry. Members can raise issues and concerns about energy efficiency schemes that the NIA will take forward and resolve on their behalf. Provision of up–to-date information, advice and guidance on policy, regulations and schemes to aid members with their planning and provide them with a competitive advantage versus non-members. Promotes the benefits of insulation and provides free referrals and leads to its members. Promotes the use of NIA members as the preferred choice to carry out any insulation work to householders, businesses and key specifiers. 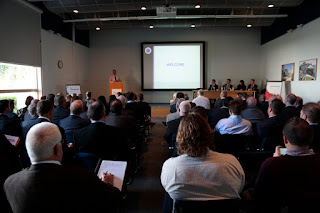 Local networking events and an Annual Conference which are free for members to attend. Opportunity to be part of working groups to drive the industry forward. Neil Marshall, Chief Executive of the NIA commented; “Membership of the NIA is much more than simply obtaining a logo that companies can place on their marketing materials. It’s about receiving good quality information, advice and support in accessing business opportunities and being regarded as the preferred choice by consumers and specifiers to carry out insulation work. Our new leaflet clearly sets out the services and support that we provide in a straightforward manner”. The NIA is a leading trade body in the Insulation Industry representing manufacturers, system providers and installers of cavity wall insulation, solid wall insulation, including external, internal and hybrid systems, loft/roof insulation and draught proofing. Last year Amber Rudd, Secretary of State at the Department of Energy and Climate Change (DECC) commissioned an independent review of quality and consumer protection across the energy efficiency market designed to restore consumer confidence. The review which is being led by Peter Bonfield is due to be published in the near future and will include a number of key recommendations. The NIA is actively involved in the review through participation in its working groups and it has also been working alongside other leading organisations including the BBA, BRE, Guarantee Agencies, BTOpenreach, the Heating and Hot Water Industry Council, Energy Companies and the Association of Technical Monitoring Agents in putting in place enhanced standards and quality processes. The Bonfield Review is expected to recommend the development of common industry standards to ensure that all participants are operating to the same high levels and a consistent approach is adopted throughout the supply chain. With this is mind Neil Marshall the CEO of the National Insulation Association (NIA) has today announced that he intends to host an Insulation Industry Summit to which industry bodies from the across the insulation supply chain will be invited to agree on a collaborative approach to the development of the new standards. Announcing the Summit Neil Marshall said: "It is very important that industry bodies work together in developing a set of common industry standards for the various insulation measures that can be adopted across the market and be referenced in relevant regulations, schemes and documents. This will help ensure efficiency, consistency and avoid duplication, overlap and possible confusion from multiple standards. To help facilitate this I intend to invite other industry bodies to a summit in the next few weeks to discuss and agree how this can best be achieved through collaborative working." The NIA is pleased to announce that its Annual Conference, Exhibition and Gala Dinner will be taking place at the Jurys Inn Hinckley Island Hotel, on Tuesday 6th December 2016. 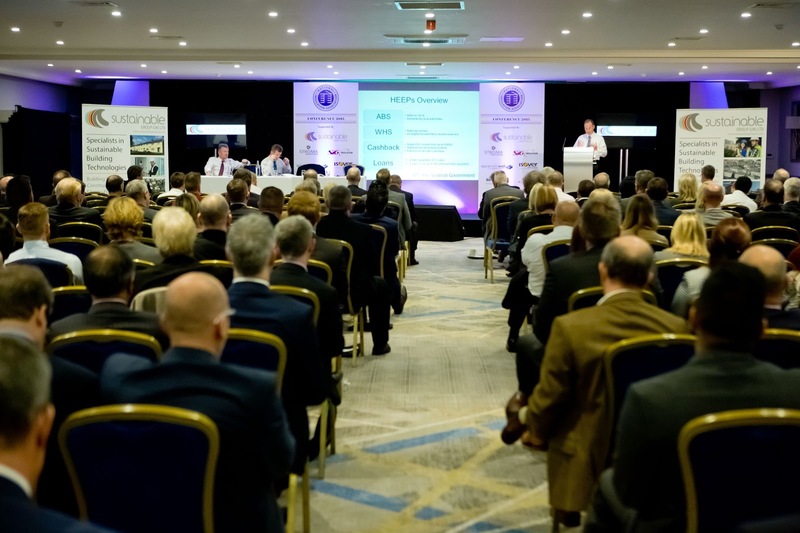 The NIA’s Annual Conference is firmly established in the calendar as a key event for the insulation industry and promises to be an informative and enjoyable day and evening for everyone again this year. Delegates will hear from a number of high profile, influential speakers from within and outside of the industry and have the opportunity to ask questions, have their opinions heard and network. The event is open to NIA members and key industry stakeholders; last year saw an attendance of around 300 delegates. This makes it the perfect place to discuss current issues affecting the sector as well as learn about and discuss plans and strategies for the year ahead. The event also includes an exhibition where businesses are able to showcase their products and services to delegates and a black tie gala dinner. Neil Marshall, Chief Executive of the NIA commented: “We are looking forward to providing our members and external guests with an informative and enjoyable event at which they will be able to find out about opportunities across a range of markets as well as network and socialise in informal surroundings. 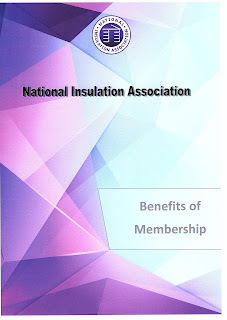 NIA members receive priority, free delegate places at the event and we would therefore urge any insulation companies that are not currently members of the NIA but would like to attend the event to join the association now in order to ensure they are able to attend and obtain a free delegate place. Next month the National Insulation Association (NIA) will be hosting a special meeting for the Managing Directors of its 30 manufacturers and system certificate holder members to discuss matters of significant importance to the future of the insulation industry. Future Government Policies and Regulations including the new Energy Company Obligation and Able to Pay Sector. Broader market opportunities including New Build, Commercial and SMEs. Quality and Standards including the Bonfield Report and recommendations. Making Energy Efficiency a funded National Infrastructure Priority including a presentation from the Energy Bill Revolution. A great deal of media attention and policy development in the insulation sector is focused on retrofitting existing domestic buildings. However, there is tremendous untapped potential for insulation in the new build, SMEs and commercial markets. At the National Insulation Association (NIA) we have identified a gap in the market and the need for an industry body to educate specifiers and building owners in these sectors on the benefits of insulation and the solutions available. It would also make recommendations to Government and other key stakeholders on policies to stimulate activity in these particular sectors. Therefore the NIA is announcing the formation of a dedicated working group within the association, which will comprise of industry experts in these market sectors to take this work forward. Collaborated with BTOpenreach in developing a new process for installers of external wall insulation to notify Openreach prior to installation so they can survey the properties and carry out any enabling works. This new, improved process is both quicker and cheaper for installers than the previous one. Worked with the Heating and Hotwater Industry Council (HHIC) and British Standards Institution (BSI Group) in developing new industry wide best practice guidance and a specification for dealing with appliance flues, combustion air ventilators, fuel supply pipework and fittings during the installation of external wall insulation. Currently working with the Building Research Establishment (BRE) in the development of industry wide best practice guidance and a specification for the initial assessment and survey of buildings to receive Solid Wall Insulation. Working alongside the Solid Wall Insulation Guarantee Agency (SWIGA) and British Board of Agrément (BBA) in strengthening the quality assurance frameworks and surveillance of solid wall insulation. This work is in addition to the NIA’s strict membership criteria and Code of Professional Practice that applies to its registered installers. Neil Marshall, CEO of the NIA said: “As the leading industry trade body for insulation in the UK we are committed to improving quality standards. We are feeding into the independent review of quality standards and consumer protection currently being undertaken on behalf of Government. In carrying out this work we feel it is important to work with other leading industry bodies to ensure a holistic and robust approach”. Interest free loans for home insulation now available from the Scottish Government – contact an NIA member for details. The Scottish Government HEEPS Loan Scheme for energy efficiency measures is now open and the National Insulation Association (NIA) is urging Scottish householders to contact its members to take advantage of the scheme to upgrade their property’s insulation. Householders can obtain an interest free loan of up to £15,000 for installing a variety of measures including solid wall, cavity wall, loft and roof insulation, draught proofing and boilers. The scheme is open to owner occupiers, private tenants and registered private sector landlords in Scotland. The repayment period varies based on the amount borrowed but those taking out higher value loans for solid wall insulation for example will be able to pay back over 10 years. Neil Marshall, Chief Executive of the NIA commented: “We welcome the loan scheme which will make home insulation more affordable and we are urging householders in Scotland to contact their local NIA registered member to find out if their home requires additional insulation and for details of this scheme. Householders can be safe in the knowledge that an NIA registered member will have signed up to a strict Code of Professional Practice, meaning peace of mind comes as standard. The National Insulation Association (NIA) is calling for immediate action including a cross party debate following last night’s Panorama Report ‘Too Poor to Stay Warm’ and a new report by the Association for the Conservation of Energy (ACE) showing a collapse in support for energy efficiency under the current Government/Parliament. · There are still more than 5 million people in fuel poverty (20% of the population) despite a commitment from Parliament in 2000 to eradicate fuel poverty by 2016. · Government is only requiring energy companies to make 1 million homes warmer by 2020. · There were 9.000 deaths last year attributable to people living in cold homes. · There will be a decline in energy efficiency measures installed of 73% (6 million to 1.6 million) in the current parliament compared to the previous one. · The number of households helped will decline by 76% from 5 million to 1.2 million in the current parliament compared to the previous one. · The level of investment will decline by 53% from £6.8bn to £3.2bn in the current parliament to the previous one. · The main cause of the decline is the cancellation of the Government's Warm Front Programme which provided free heating and insulation for fuel poor households and cutting the Energy Company Obligation in half from 2017. · By contrast the Scottish Government is providing £100m of Government funding for heating and insulation for Scottish Householders in 2016/17 in addition to the Energy Company Obligation which is the equivalent of an additional £1bn spend in England. Neil Marshall the NIA’s CEO said; “The report by Panorama is shocking! It is totally unacceptable for 5 million people to be living in fuel poverty and 9,000 people to have died last year due to living in cold homes in this day and age. In addition, the report by ACE clearly highlights the extent of the problem with a massive reduction in Government support for fuel poor households through heating and insulation." “Therefore, we are calling for an urgent cross party debate involving representatives from consumer groups and industry to agree a plan of action to genuinely tackle fuel poverty once and for all and as part of this there needs to be agreement to a huge increase in support for free heating and insulation which can be achieved by making Energy Efficiency a National Infrastructure Priority." Whilst the Green Construction Board and Government were invited to respond to the recommendations, the Chief Construction Adviser said in the report that he believed that industry can take early action without necessarily waiting for Government’s response. Responding on behalf of industry at the launch of the report on 12th November 2015 our CEO Neil Marshall welcomed the report but called for more ambitious timescales for implementation and explained that “There were plenty of examples of best practice that can be quickly and easily adopted into a unified approach and that the National Insulation Association (NIA) as the major trade body for solid wall insulation in the UK was committed to taking a leadership role in the implementation of the recommendations in the report”. To this end, the NIA is today announcing its intention to convene a Solid Wall Insulation Summit to which it will be inviting representatives from key external stakeholders including Government, housing organisations, fuel poverty organisations, energy advice organisations etc. The aim of the Summit will be to review the recommendations contained in the report and identify which of these can be implemented without delay and how to facilitate this. Announcing the NIA Solid Wall Insulation Summit today Neil Marshall, CEO of the NIA said: “There are over 7 million homes that have solid walls that are not insulated and among these half of all fuel poor households require solid wall insulation. The report published by the Chief Construction Adviser last November with input from industry identified key actions that could be undertaken to unlock the potential for solid wall insulation many of which can be implemented quickly. The report encouraged the industry to take early action and that is exactly what we are doing through hosting this Summit. 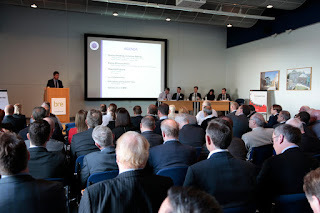 I'm pleased to announce that Peter Hansford has already confirmed that he will be attending the summit." In July 2015 the Secretary of State for the Department of Energy and Climate Change, Amber Rudd, announced the Bonfield Review, an independent review into quality standards and consumer protection for energy efficiency measures. Since the start of the review the National Insulation Association (NIA) has been directly involved in the work taking place. The NIA and its registered members are committed to quality and standards and as part of its work under the Bonfield Review it has initiated the development of new quality assurance frameworks that will apply to its registered members installing external wall, internal wall, cavity wall, loft insulation and draught-proofing. The frameworks will include robust criteria for member companies and a range of standards covering the building survey, system design, installation, after care and maintenance. They will set the quality bar for insulation companies and clearly differentiate its registered members from non-members. Neil Marshall, Chief Executive of the NIA commented: “We are committed to leading the quality agenda and this is demonstrated through our current criteria and standards and the enhanced QA Frameworks we are now developing. We would therefore urge consumers and specifiers including Local Authorities, Housing Associations and Procurement Framework Operators to use our members to carry out any insulation work. In addition, we would urge installers who share our values to join us now so that they can be part of the frameworks and will not be excluded from tenders and specifications going forward. Our response to Government proposals to improve 100 housing estates in England. Speaking to the BBC over the weekend, Prime Minister David Cameron said that Government is to spend £140m, with added money from the private sector, to demolish existing housing estates and rebuild homes that people feel they can have a real future in. Commenting on the proposals, Neil Marshall, CEO of the National Insulation Association (NIA) said: “Whilst we support the Prime Minister’s proposals to improve housing estates in England we are concerned that the plans appear to focus purely on demolition and rebuilding. Housing estates can be regenerated and transformed by upgrading the existing properties including the installation of attractive external wall insulation. The cost of upgrading estates is significantly less than demolition and rebuilding which means more households could be helped with the money. In addition, upgrading the existing buildings avoids the hassle and disruption of having to re-house the occupants which is associated with demolition and rebuilding.